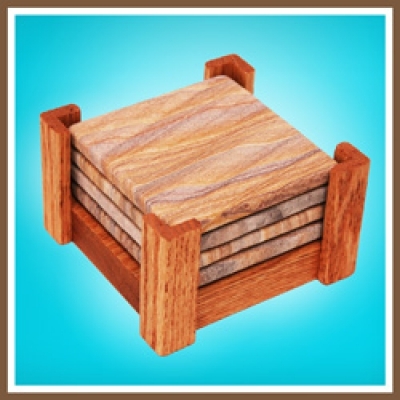 We have one of the largest selection of high quality natural sandstone coasters and the widest variety of southwest designs available online. 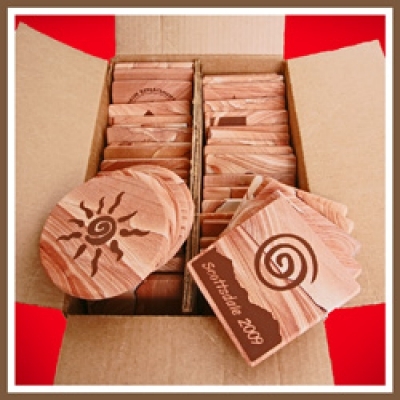 Our sandstone is mined here in Northern Arizona for most of our coasters. The all natural sandstone is mined from the earth then cut and sanded to a smooth finish. The design is then sandblasted to etch into the stone surface. Sandstone is naturally absorbent so these designs are permanent and will not smudge or become faded. We use a brown paint over the eteched design to enhance the natural colors. All coasters are finished with a cork back to avoid scratching furniture. 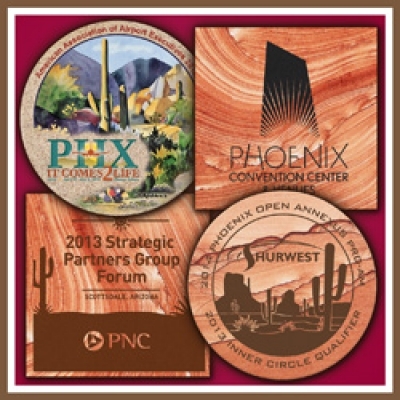 This top quality product from Arizona makes a great addition to any home or office.